I bought my first Bar Crusher, a 610C, around three years ago. 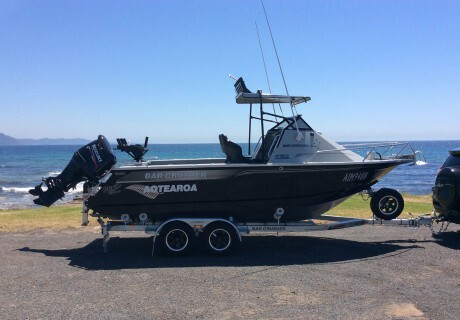 Regularly fishing for kingfish, snapper and flathead around my home at Jervis Bay, I did countless hours in this boat fishing up and down the NSW South Coast. This year, I purchased my second Bar Crusher, a 615C. I have plenty of trips planned for this boat too! These boats are absolutely fantastic. I cannot recommend them enough. Inshore or offshore, they can handle it all. I recall once being caught out on The Banks in a 25kt westerly – the boat handled the trip through the big and messy sea back in to Currarong easily. In a couple of years’ time I will look to upgrade to a bigger hard top Bar Crusher.